Thank you to attendees of my session on Stretched Clusters with Vplex at VMware TechTalk Live 3-11-14! Pictured here is Alexis St. Clair, who won the Nest programmable thermostat raffle. 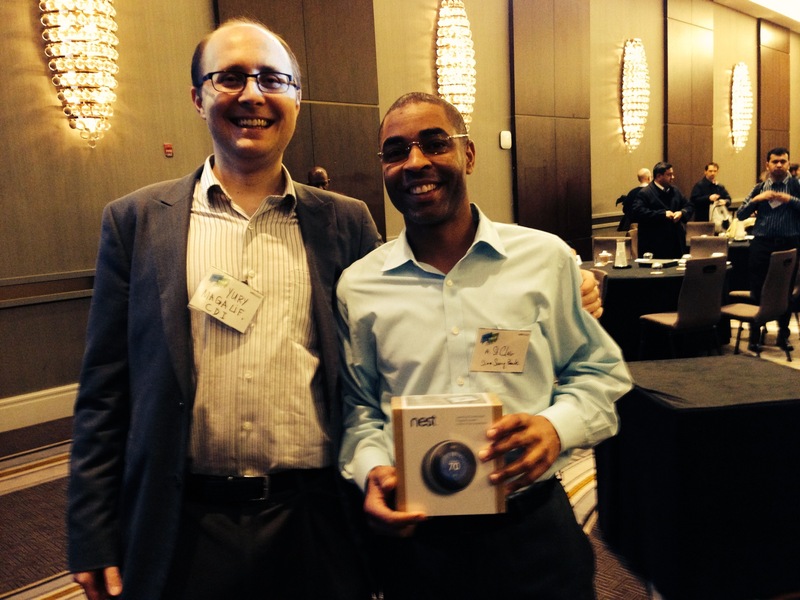 The Nest was offered by my company CDI, the sponsor of the event, along with VMware and EMC. Use Hashtag #CDIVplex in your questions. Differences between High Availability and Disaster Recovery approaches. When to use VMware Stretched Clusters vs. VMware Site Recovery Manager. How to decrease your Recovery Time Objective across sites to under 5 minutes. Minimum storage, network and compute requirements for VMware Stretched Clusters. What is distributed storage and how it helps with VMware Stretched Clusters. How Vplex allows you to configure VMware Stretched Clusters. Best practices for VMware Stretched Clusters with EMC’s Vplex.